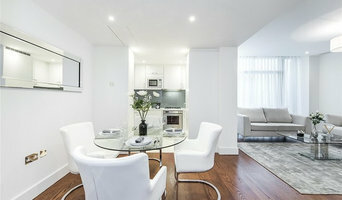 Kantec is a London-based residential construction company. We started out working with architects to project manage and build big-budget residential builds requiring bespoke finishes. From these technically challenging projects came a number of smaller scale referrals for loft conversions and rear extensions. These types of renovations have developed into our core business, allowing us to deliver our tried and tested solutions and craftsmanship to home owners wanting to get more from their property, without the stress and sacrifice required to do it alone. Active Builders is London based company, that works on every aspect of property improvements. From complete refurbishments to loft conversions, from bespoke kitchens design and fitting to house decoration. With over 15 years of experience we guide our customers through all stages of projects. It all starts with pre –planning meeting, where we discuss the clients needs and ends with final quality check inspection. We pride ourselves on providing a professional service at a fair price. All projects are led by Project Manager and/or Foreman to ensure the build is completed on time and to budget. Our team consist of fully qualified engineers, with relevant qualifications and expertise. All of our quotes are free, detailed and transparent and we will always try to get a quote to you within 2-3 days. Depending on the nature of the project, we offer 6-12 months workmanship guarantee. With over 15 years of industry experience, Bowen Building are experts when it comes to home building and renovations. We have a team of highly skilled craftsman, experienced in kitchens, bathrooms, bedrooms and initial foundations of a home. We work closely with all of our clients to first help them realise their unique vision, walk them through the design process and then deliver their dream project with exceeded expectations. Call today to get started on your next project! TCTS Ltd is a hard working, trustworthy, honest and reliable team of builders. With over 15 years experience in property refurbishments. We are a local company specialising in domestic and commercial construction. A growing business of dynamic people here to help if something is wrong.I started straight after school and have not stopped being creative and delivering bespoke work. We love creating peoples dreams into a reality. Whether you are looking for a house extension, renovation or to install a bathroom, kitchen, bedroom or office, we can handle all areas of your project. The joy a dream project brings our clients and seeing people happy is what keeps TCTS Ltd wanting to do more. Do not hesitate to contact us no matter what the scope of the project is we can help! 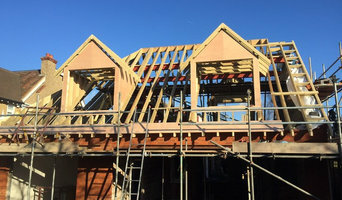 PM Construction and Insulation Ltd manage a full range of construction and building services from initial ground works to final decoration it has a dedicated team of trained, experienced professional polish craftsmen and offers a reliable, trustworthy, quality service. Ash House Investment Limited is a family owned Surrey based Construction Company. With years of experience behind us, and a track record of creating stunning lofts, extensions, and refurbishments, we complete all work to the highest possible standards. We understand that every client is different and so we offer tailored solutions that are unique to every project. Why not build you own house with the help of Yateley, Hampshire builders? Builders in Yateley, Hampshire can be employed to handle a wide range of projects; from knocking down a partition wall to building a kitchen extension, but you’ll certainly need the help of a trusted house builder if you plan to build your own home from the ground up. But why would you take on such a task? This may seem like a daunting task, and admittedly, it’s not for the faint-hearted. But with extensive research, trusted builders in Yateley, Hampshire, detailed budgeting and good judgement you might soon be sitting in the house of your dreams, at a snip of the cost. 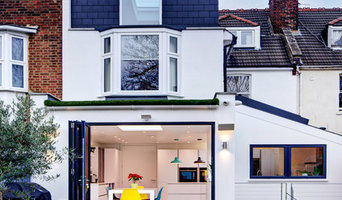 Your architect’s plans will serve as clear instructions to your builder and, if the former has done their job well, you should also avoid any nasty surprises with the local council. Finding the right Yateley, Hampshire builder need not be a long or difficult process. 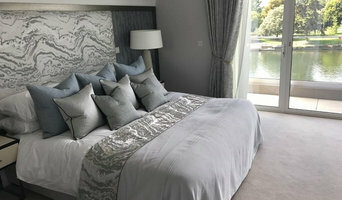 Personal recommendations aside, a good place to start is the Yateley, Hampshire Home Builders category of the Find a Pro section on Houzz, where you can see their previous work and ask questions. Compile a shortlist of at least three builders in Yateley, Hampshire that can handle the full scope of works, either by themselves or through sub-contracting. It is often a good idea to play devil’s advocate and ask what the builder will not be responsible for, such as structural engineer consultations. Be weary of unusually cheap quotes. Ask for references and stories about how the builder has met different challenges along the way. If you can, you could try to see builders’ previous projects in person and talk to previous clients, or if not, read reviews, recommendations and ratings, and look at detailed photos of projects. How long have you been operating as builders in Yateley, Hampshire? Find builders on Houzz. Narrow your search in the Professionals section of the website to builders in Yateley, Hampshire. You could also look through Yateley, Hampshire photos to find a project you like, then contact the Yateley, Hampshire builders that created it.